In the world of sports, being able to watch their anticipated matches can be a bit of a hassle, and that’s not just true for people who want to see it live. People who just want to stream sports matches online can have difficulties, too, thanks to missing matches or not knowing where to watch them. Navixsport is a lifestyle app that can help solve this problem. With this app, users will be able to stay updated about their favorite sports with convenience. Navixsport is an all-purpose app for fans of sports, specifically soccer and the NBA. 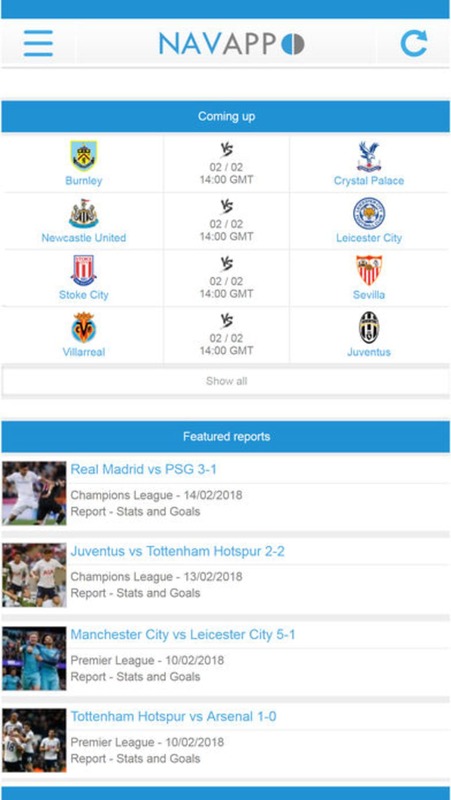 Not only can users watch matches, but they can also check match results, schedules, and more. 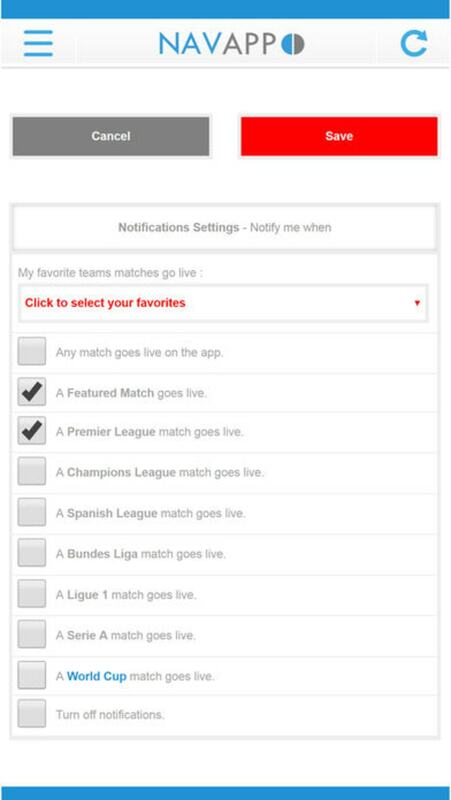 Users can also set notifications for important matches so that they can stay updated about big happenings in the sports industry. In addition, users can set the frequency of the notification so that they don’t get hounded with them when they don’t want to. Navixsport has a clean and simple interface. It has a blue and white color scheme that makes it look modern and sleek. On its home page, users will be able to find sports channels where users can stream sports matches online. They can use their device to view matches, of course, but they can also view it with devices like Chromecast and Firestick. As mentioned above, Navixsport also features reports and other various pieces of information. 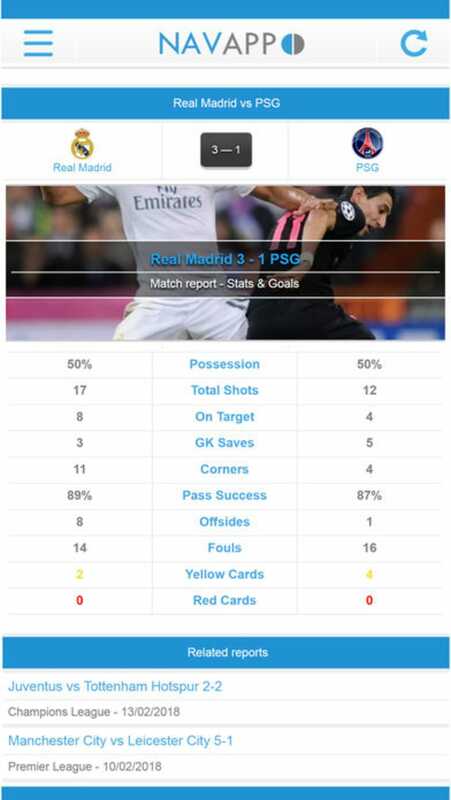 Match Reports show results from previous matches to keep users up to speed with rankings and future match line ups. There is also the Match Schedule to shows a list of all the upcoming matches for users to anticipate. Navixsport is the go-to app for any fan of sports. It has most of the information you’re going to need to keep yourself up to date with the latest happenings in the sports world. Navixsport has all of your sports needs covered. What do you think about Navixsport? Do you recommend it? Why?